Devotees of paid search love to mention "chasing the long tail" as one of the most cost-effective ways to improve your search engine optimization (SEO). But it's just as important in organic search to chase the long tail keyword phrases. "Chasing the long tail" just means finding keyword phrases that are specific enough to be relevant to your specific product or service. Still, you also want them to be just broad enough to get enough of an audience to get your voice heard. This is, obviously, much more easily said than done. One of the most common examples that are used to illustrate chasing "long-tail keywords" is by adding a color to a certain phrase. For example, if you sell linens, "blankets" is a ridiculously broad term that gets hundreds of thousands, if not millions of searches a day. "Baby blankets" is obviously a lot more specific and has considerably more refined search traffic. But to "chase the long tail" so to speak, you need to find three or four word keyword phrases (or perhaps longer) that are more specific to what your customers are looking for. For example, think of "blue baby blankets." It is a fairly common color for baby blankets. So it's not surprising that it's a search phrase that actually gets about one thousand searches a month on Google alone. So you might want to write some content about "Why Are Blue Baby Blankets So Popular?" Now, why would you limit yourself to a specific color in your content? Preferably, you would have content around red or green baby blankets, as well. The concept of chasing the long-tail is more about zoning in on the types of people that are closer to ready to buying a product. 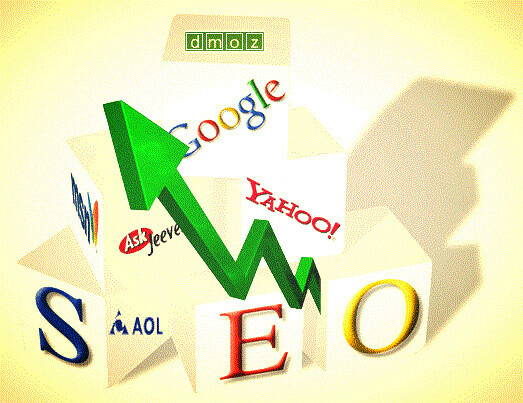 However, chasing the long-tail must also consider the variations on a keyword phrase. I have mentioned "red baby blankets" and "green baby blankets" as possible options for content surrounding "baby blanket" searches. However, per Google's Keyword Planner, "green baby blankets" get about half of the monthly search volume as "blue baby blankets." However, "red baby blankets" on the other hand, gets about 700 monthly searches, which is very close to "blue baby blankets" at about 900. What does this research show exactly? If you have a section of your business devoted to baby blankets, this is rather important information to consider. It means that your blue and red baby blankets are twice as likely to sell as your green ones, at least according to the Google search audience. This is pretty powerful information. If you were to optimize for simply "baby blankets," which is a term that gets 245,000 monthly searches, you're going to be lost in the noise of all the other companies out there trying to rank on Page One of Google for that product. Focus in on the specific products people are looking to purchase, especially in a particular color. As the longer keyword phrases never have the same amount of competition, you can rank much more easily for the long-tail phrases. Then, you're much more likely to get someone's attention. Think of some basic ways you can help focus your content on specific permutations of your product. It can be basic as color, size, or model. Just make sure that people are searching for that specific thing on a regular basis. It can be just a few hundred searches per month, if it's specific enough. Even if you don't have a physical product, there are still certain ways that people interested in what you have to offer will search for it. 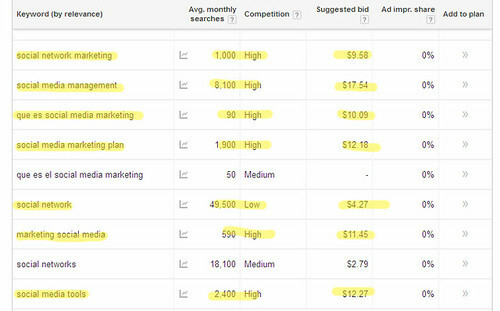 The free Google Adwords Keyword Planner (with sign-up for a free Adwords account) is great for doing this sort of research. It can also give you other keyword ideas for content you should be producing surrounding your content. Keep in mind that search traffic alone isn't everything. You need to be getting the right traffic, too. By focusing on the power of specifics, you get more targeted, more relevant traffic. Need some long-tail keyword phrase suggestions for your own site? Contact us today! Get Long-Tail Keyword Research Now! In recent years, Search Engine Optimization (SEO) has been experiencing a slow, but steady transition from focusing on simply optimizing website for search to the actual user experience. It's a good trend, honestly, because search engine rankings are certainly not everything. What good is a search engine ranking if people click to your site and don't bother to read your content? Of course, you're not only looking to get visitors to read content. You're hopefully looking to convert some into subscribers. This is why it's so important to have the very best searcher experience possible. The best way to know how to get visitors to your sites is by understanding the many different ways that potential readers and subscribers will find you. These days, you have social media accounting for a great deal of website referral traffic. This is why it has become so paramount to have those social outposts on Facebook and Twitter (at the very least) to get your message out there. By seeing what sort of people regularly follow your blog on Facebook and Twitter, you get more of an idea of what sort of content they are looking for. Also, preferably, while it's okay to have your blog on a free platform, it's better to put it on your own domain. Many web-hosts allow people to install Wordpress for free on their own websites. There’s also Weebly who offers free to extremely reasonably priced web hosting with one of the best do-it-yourself website builders out there. Then all you have to do is post content regularly – at the very least once per week. But it’s not just about writing and sharing content that people want. You want to make sure that your incoming search traffic – and social media traffic – is really getting what they’re looking for. So what do you post to your blog? You need to make your site more relevant in the eyes (or rather, to the spiders) of search engines. But you also need to make it more relevant in the eyes of those who may end up clicking on your website link in the search engine results pages. The first part is easy: Do you answer their questions and/or do you fulfill their needs? Here's the part that isn't quite so easy: how do you make them feel? It's a proven fact that if you make people feel better by easing their concerns or solving a nagging problem that they may have, they're a lot more likely to remember you for that. Emotional value is everything for human beings. Since 99% of your readers will likely be human beings, that’s who you have to write for. Obviously, keyword strategies are still incredibly important. But you have to constantly build content on your website not only surrounding these keywords, but establishing presence of authority around them. You need to become a trustworthy personality who is knowledgeable about your site’s subjects. This is known as becoming a "thought leader." You may not think of yourself a thought leader in your chosen field, but you may be surprised how much you can be once you start answering the questions that you may get every day on your blog. It may sound simple, but if there's a need, and you fulfill that need, you might just find that a blog post a day keeps the searchers coming your way. Even if you can't blog every day, it's important to at least remain consistent, and keep an open dialogue with your audience. Also, while it’s important to be consistent in the type of content that you post, if your strategy isn’t working, be sure to switch things up. You don’t want to look like a robot – even when things are working, switch things up for variety. People love surprises. Even a successful website will introduce a guest blogger or take a very new direction for a day or two just to offer some new perspective. Recycling old content by taking a completely different angle does this well. It’s fine to repurpose and recycle content, and people will appreciate your innovativeness often without really realizing it. The purpose of any blog is to provide information, advice and assistance to those people who are interesting in what you have to share. Every blog should strive to eventually build a community. You want people from all walks of life and many different fields and industries who can share common interests and experiences around your content. Building this community makes it clear to searchers and social media surfers that you are doing your best to offer a great user experience. Content creation doesn't always have to be cut and dry, and most of the time, you simply can't be. You've got to be there for people. It's the only way to win the minds (and hopefully the hearts) of your potential fans.